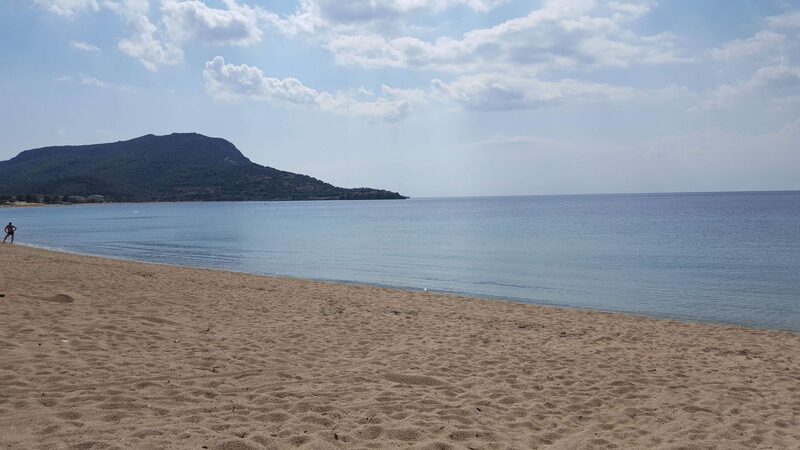 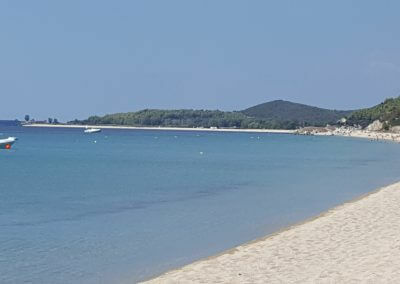 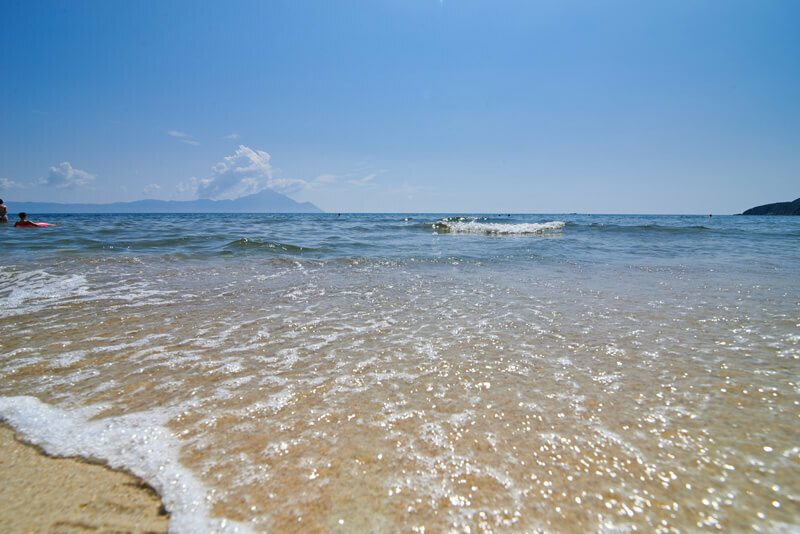 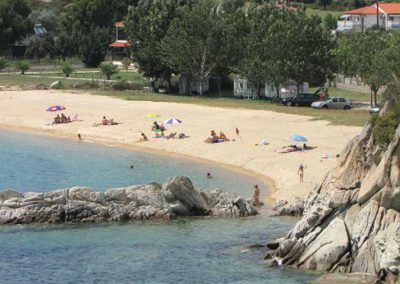 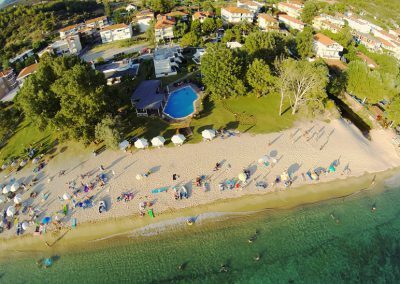 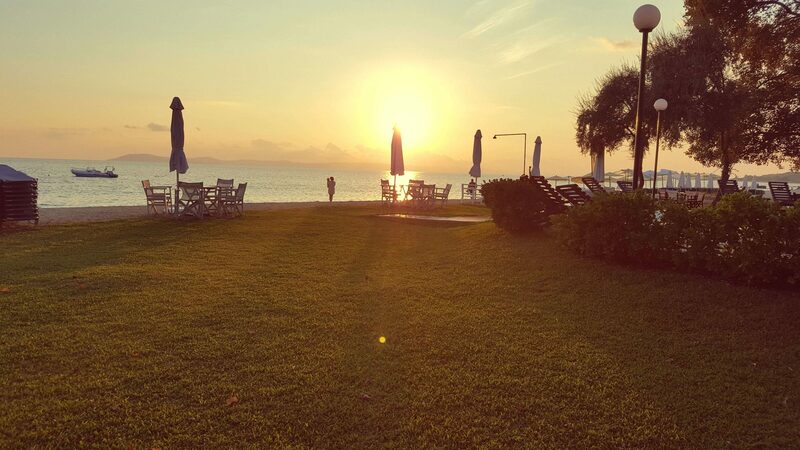 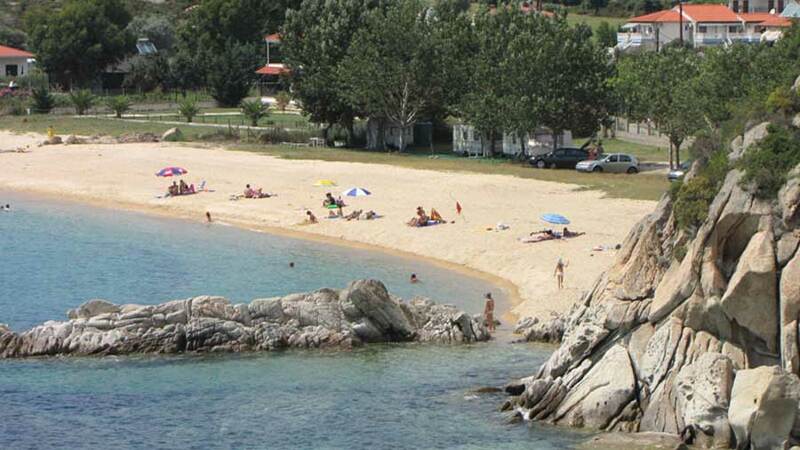 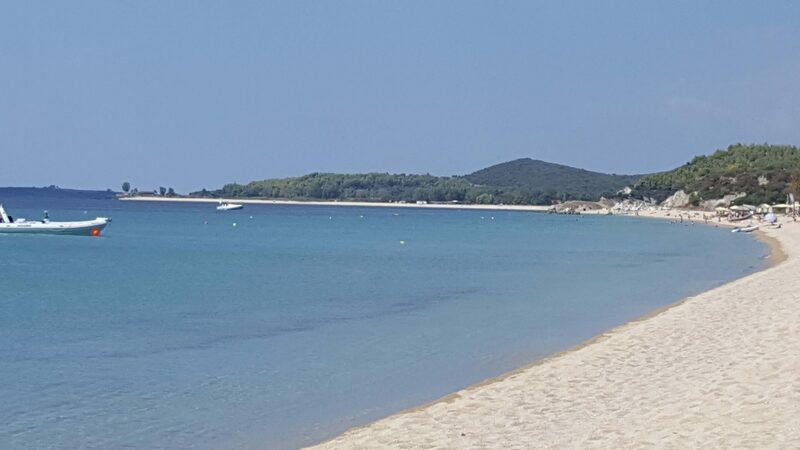 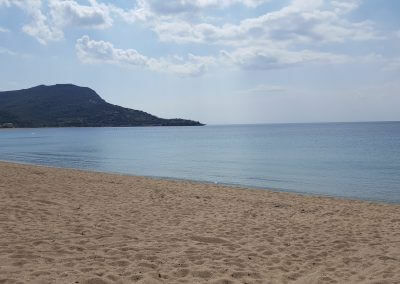 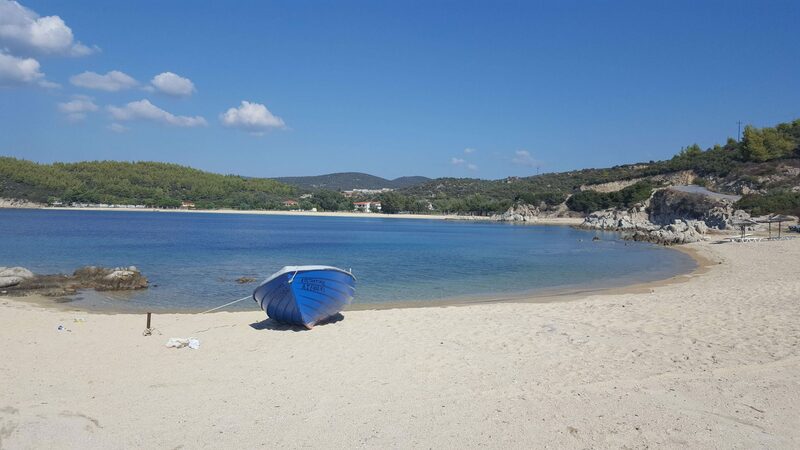 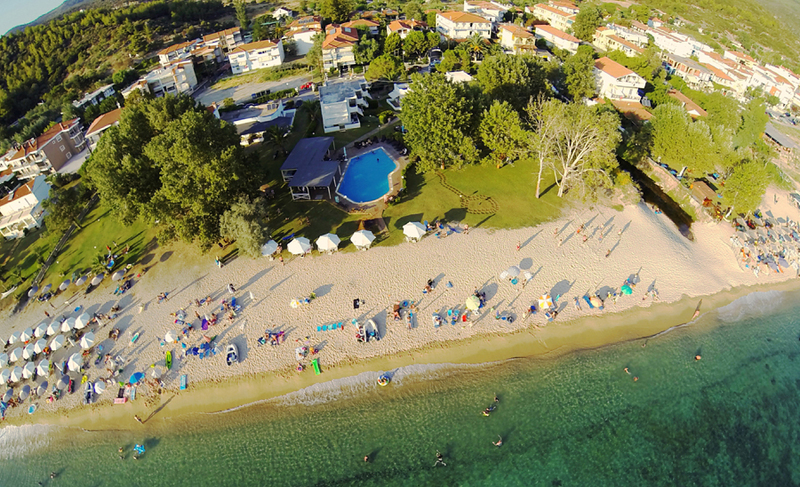 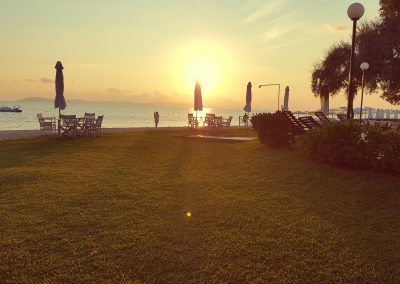 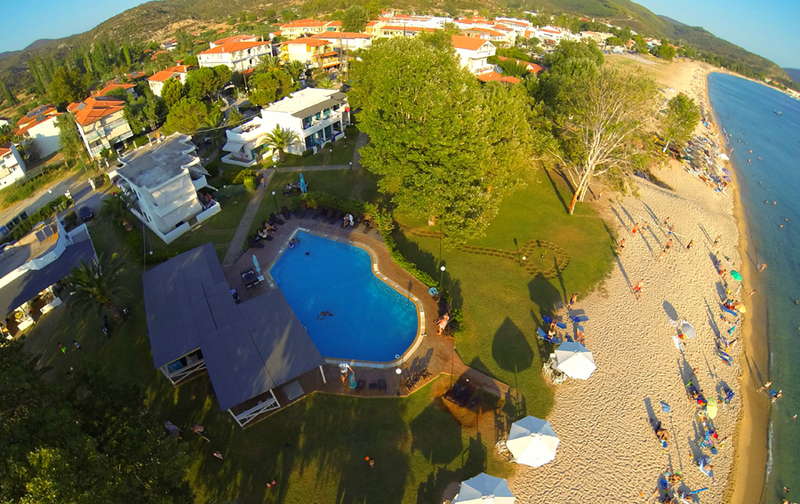 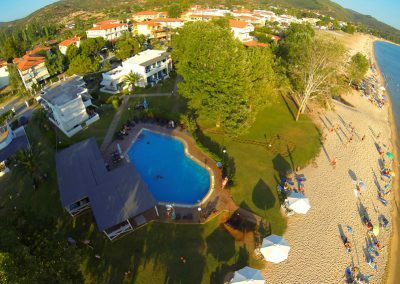 The Studios Georgiadis are situated directly on the beach at the edge of the small village which lies harmonious beside the natural form of the beautiful, long, sandy bay. 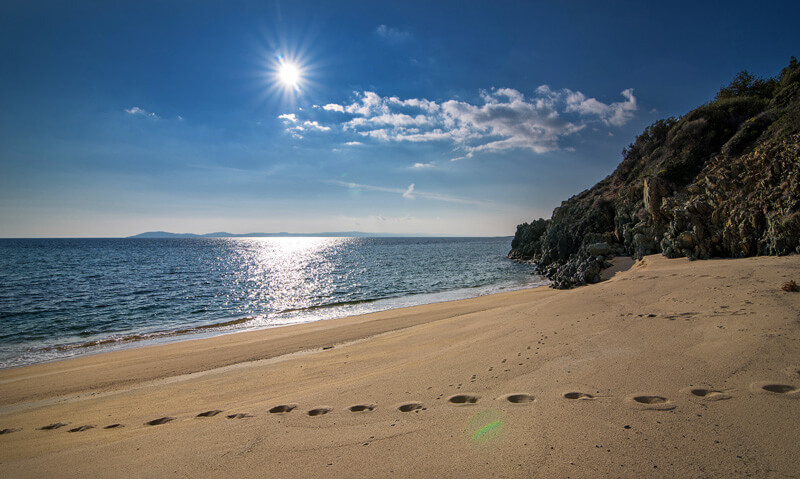 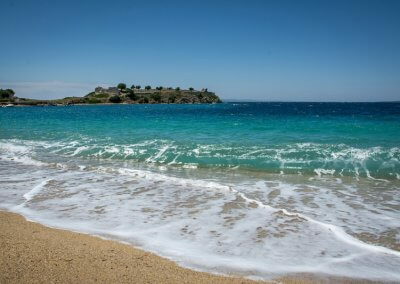 The pleasant atmosphere and the direct proximity to the clear water are important factors for a carefree vacation. 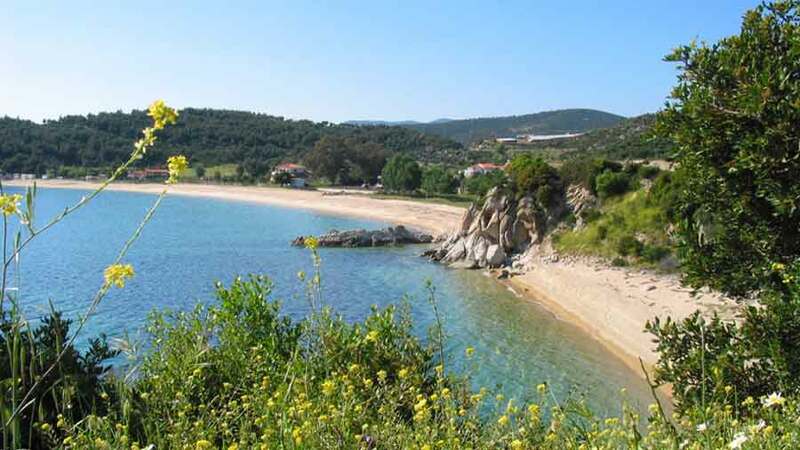 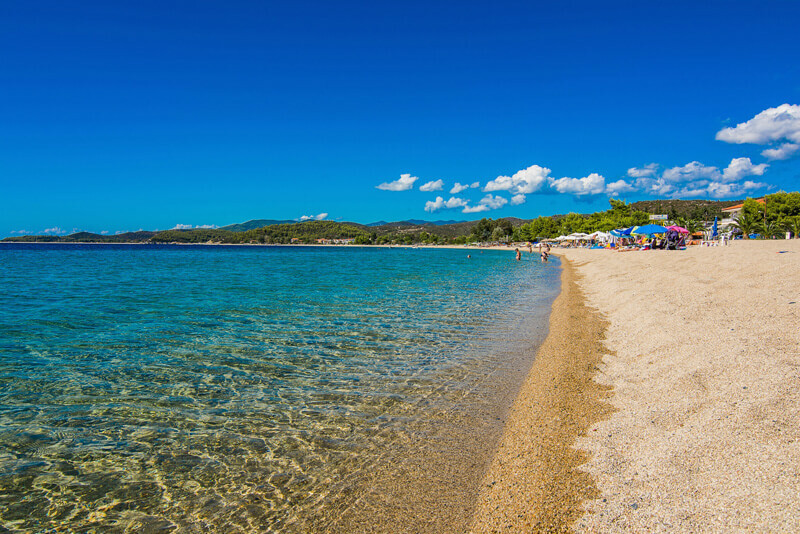 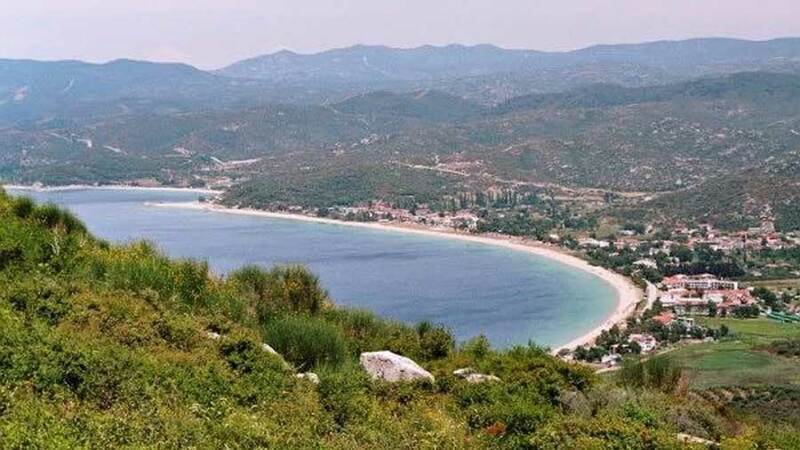 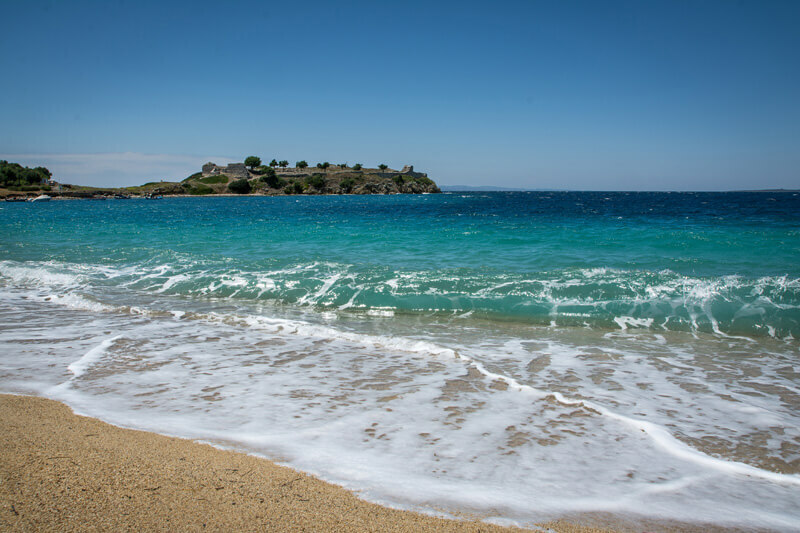 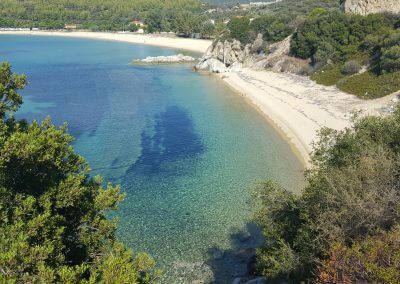 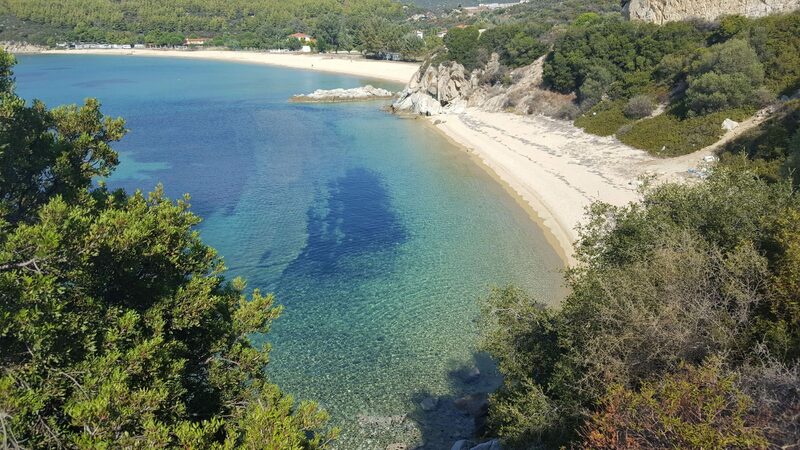 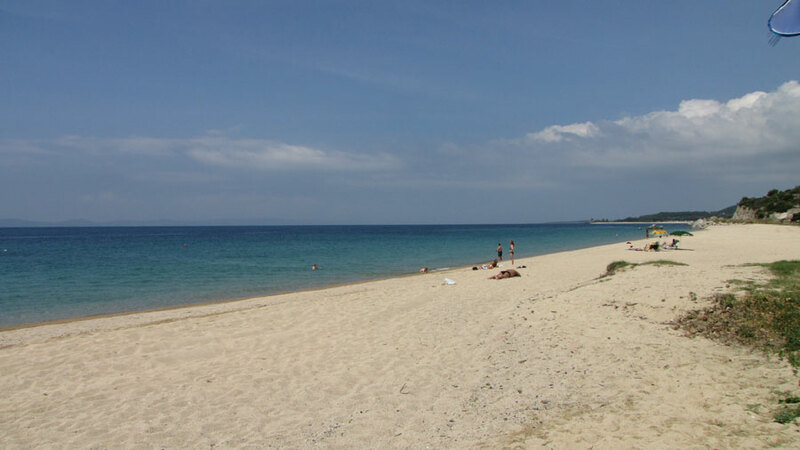 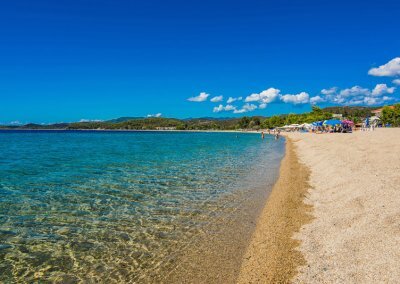 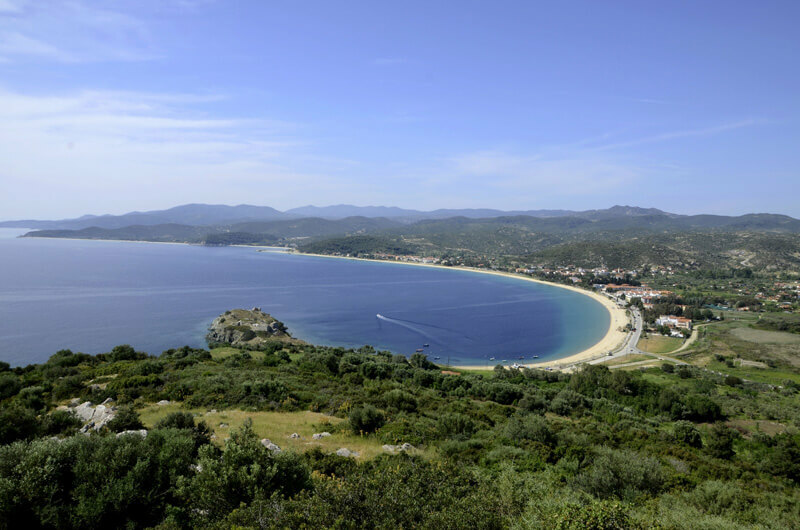 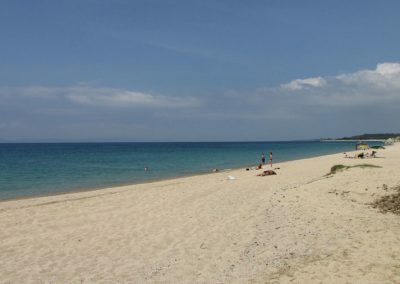 For your entertainment and shopping you will find everything you need within a radius of 50-500 m.
The small traditional village of Torone lies on the SW of Sithonia, approximately 20 km south of Neos Marmaras. 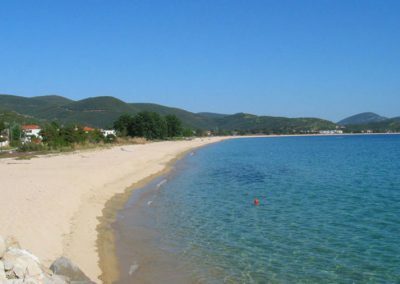 Small taverns, kafenia (traditional cafeterias), shopping opportunities, homey pensions, line the street that runs along the long sandy beach and the azure sea. 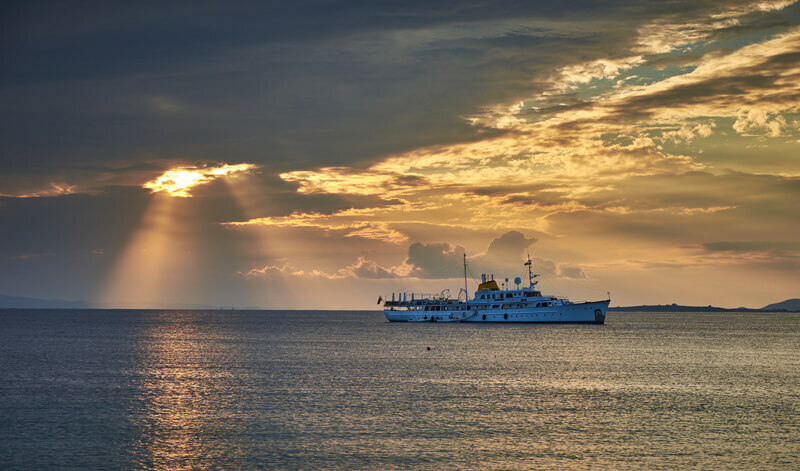 At the harbor small fish-taverns offer tasty fresh seafood caught daily. 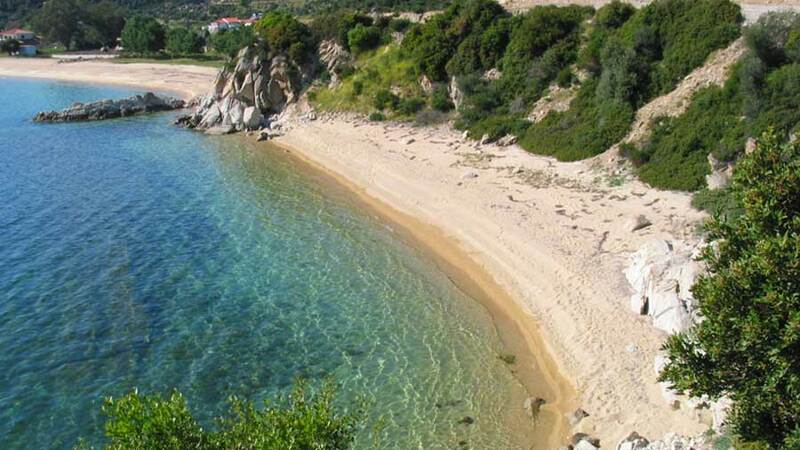 According to mythology Poseidon’s son Proteas lived here and Torone was named after his wife Torone. 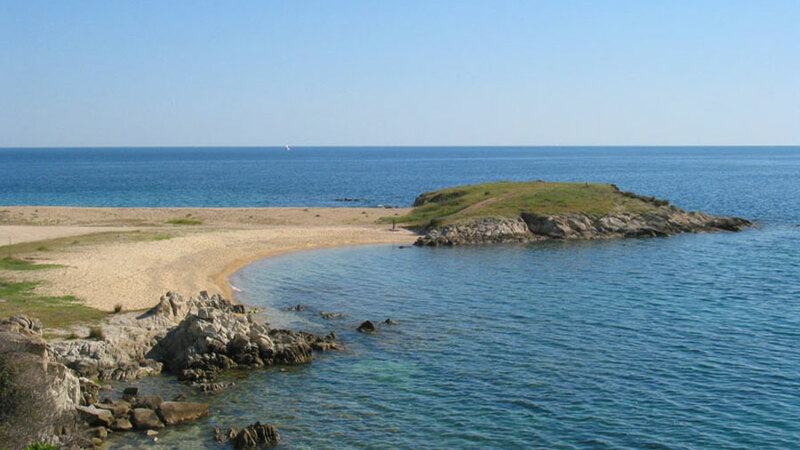 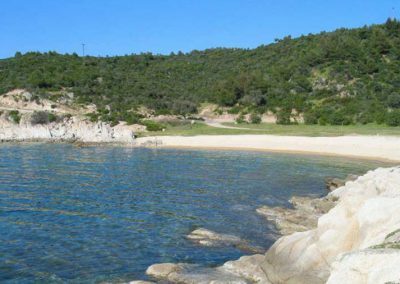 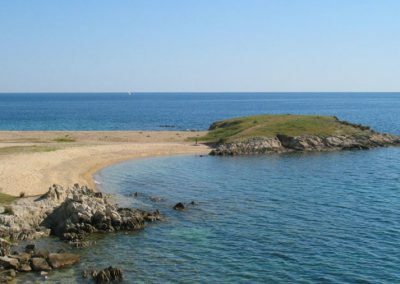 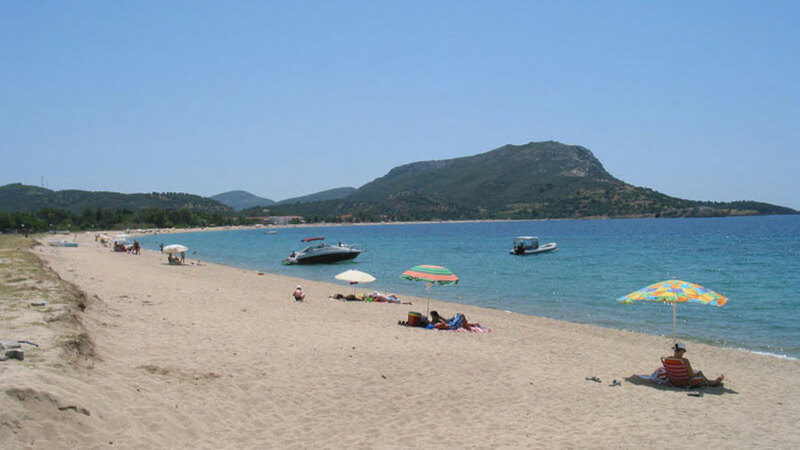 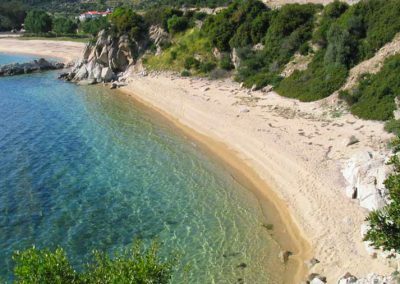 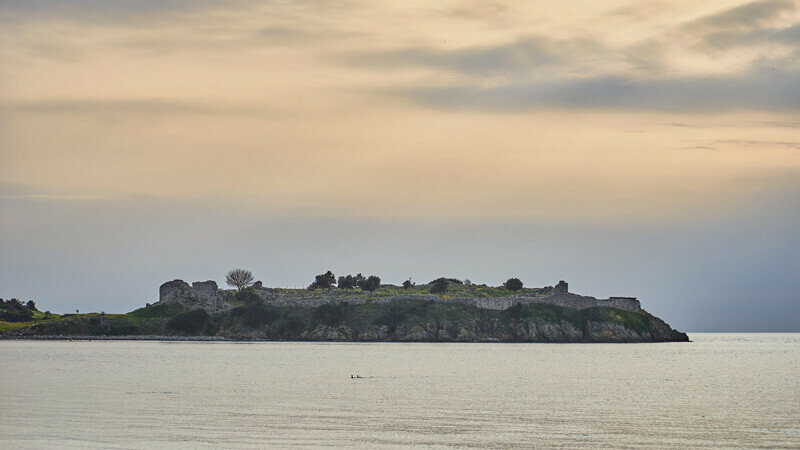 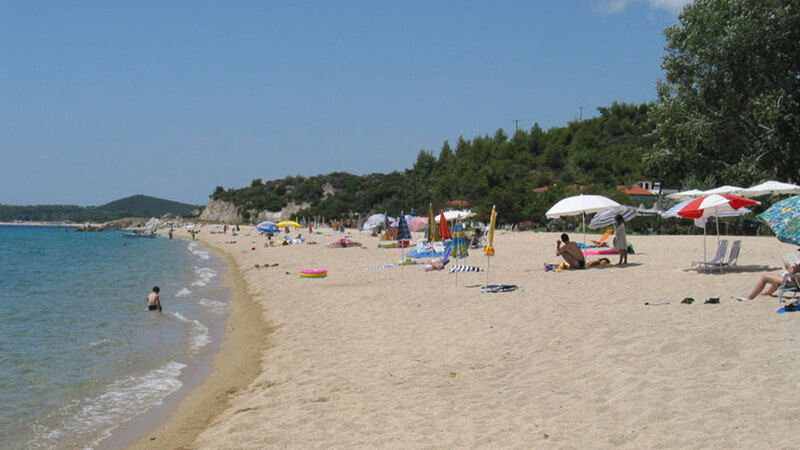 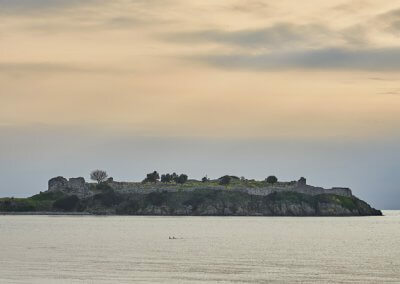 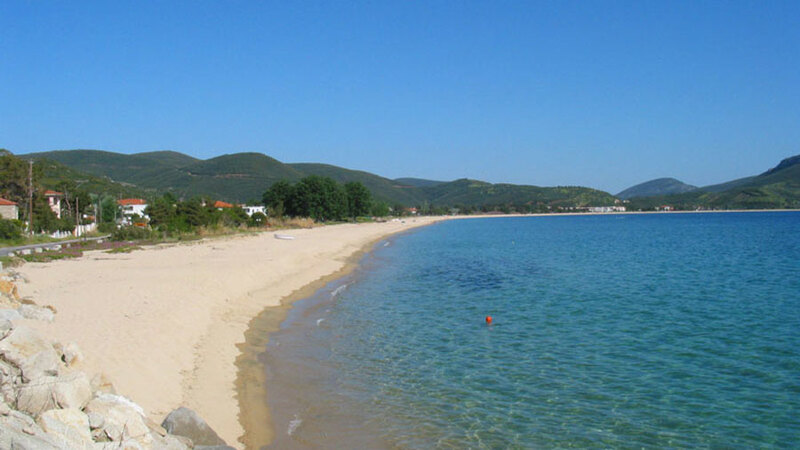 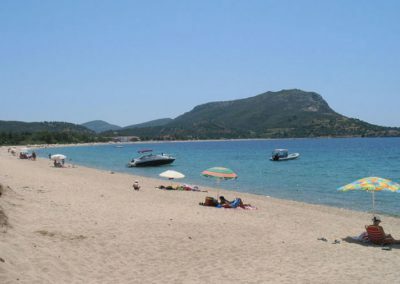 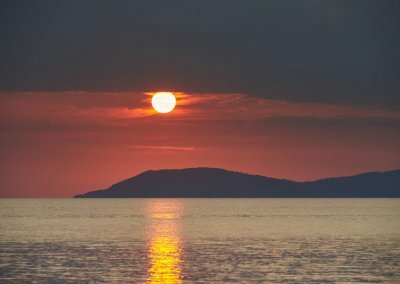 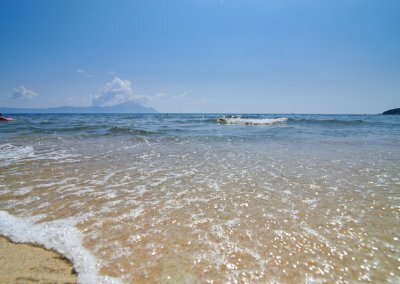 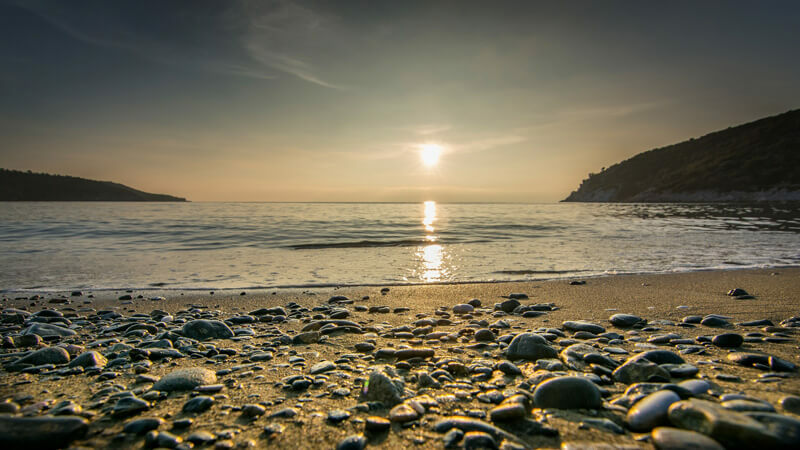 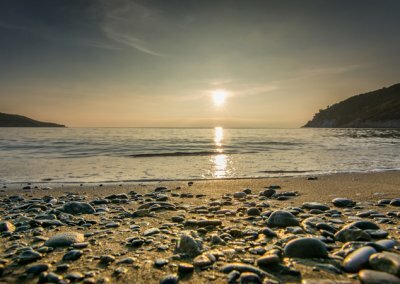 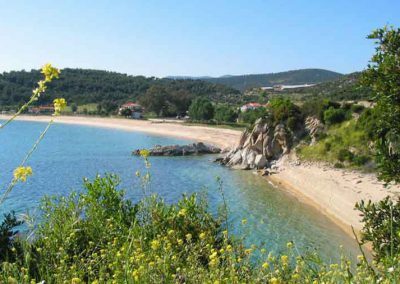 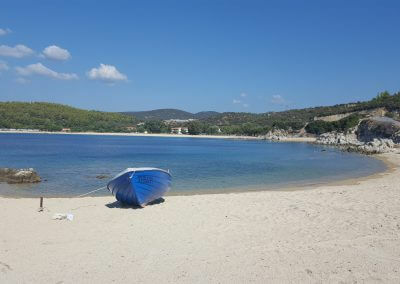 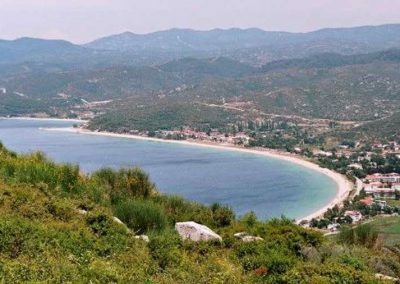 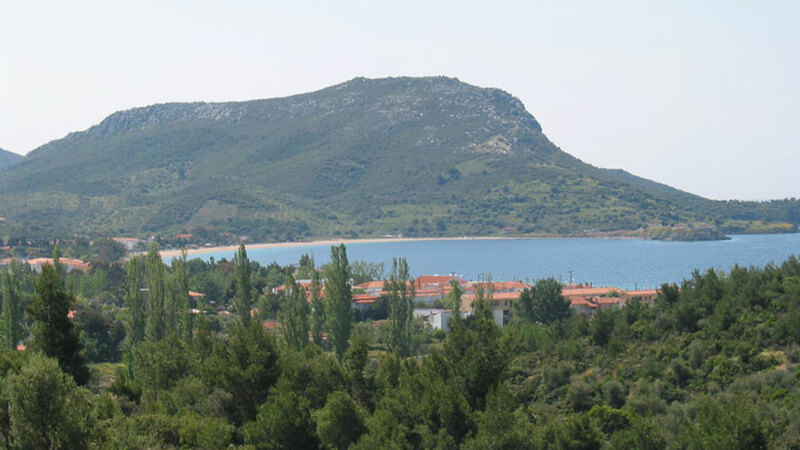 It is worth it to take a trip to the south end of the beach to the Likythos Hill where an ancient city was located. 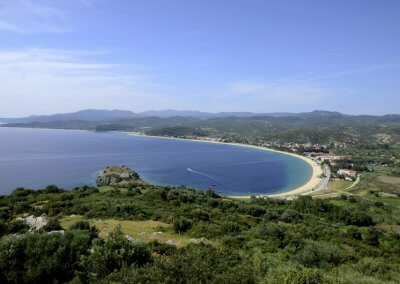 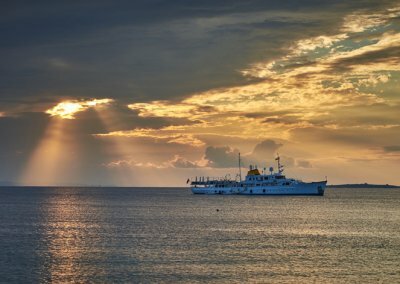 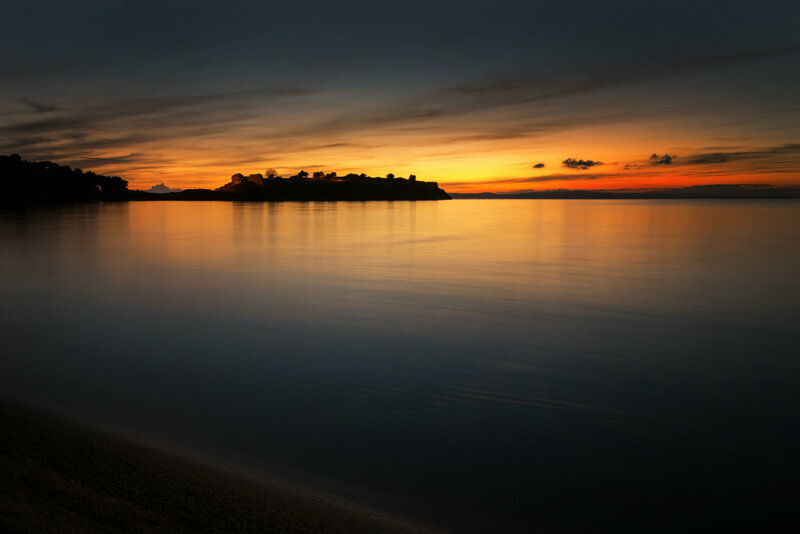 Its harbor is sunk into the sea and therefore you can find its remains only by scuba diving. 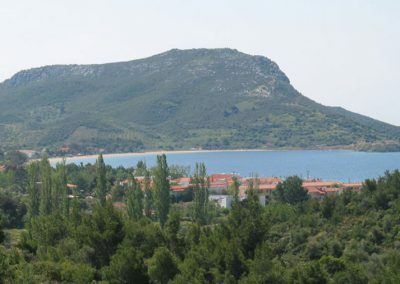 On the hill you also can visit the remains of a medieval castle. 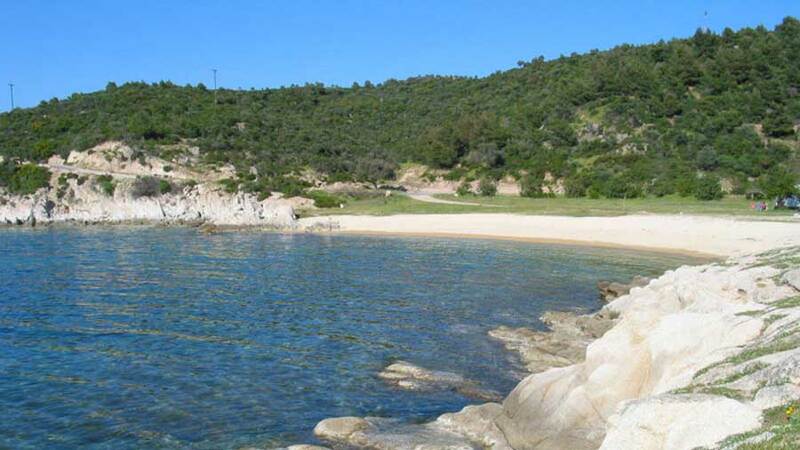 Torone is mostly ideal for those who would like to have a peaceful and relaxing vacation.